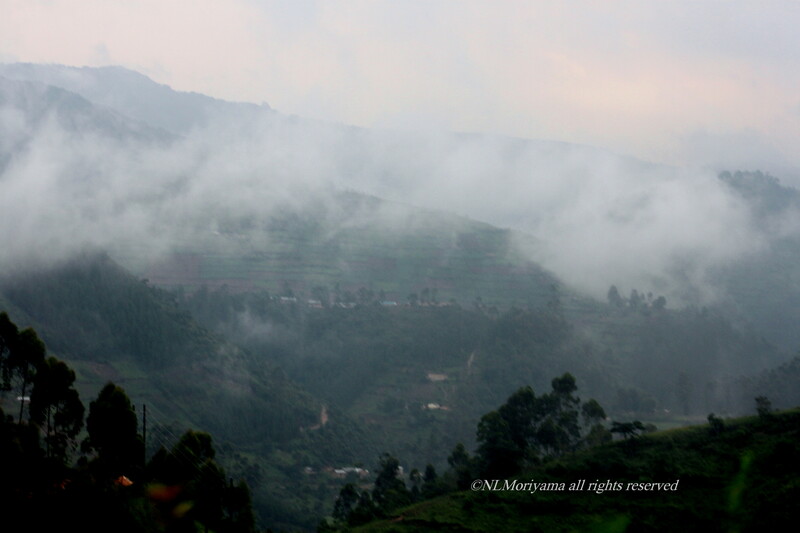 The drive up to the Bwindi Impenetrable Forest was so beautiful, steep mountains and a beautiful mist hovering- it really was like Gorillas in the Mist. Started off our trek on a rainy day in the Bwindi Impenetrable Forest, Uganda wearing long sleeved shirt and jeans tucked into knee socks and rubber boots. Hired a porter for 40,000 UGX ( $15.00 USD). I only had a backpack but hiring a porter does help the local community with employment and that little bit of weight can be felt after you start your climb up and down slippery slopes. After about an hour of trekking we found the Busingye family that has 9 members in the family with a large male silverback, several females and a few juveniles up in the trees. Busingye is the name of the silverback and his name means peace. He is known for legendary fights with other gorilla groups. Gorillas can be identified by nose prints unique to each individual. There are approximately 880 gorillas left in the world so I felt very fortunate to be able to photograph these amazing animals and spend time with them. We could not have found them without the help of the pygmy trackers who have an intimate knowledge of the forest. 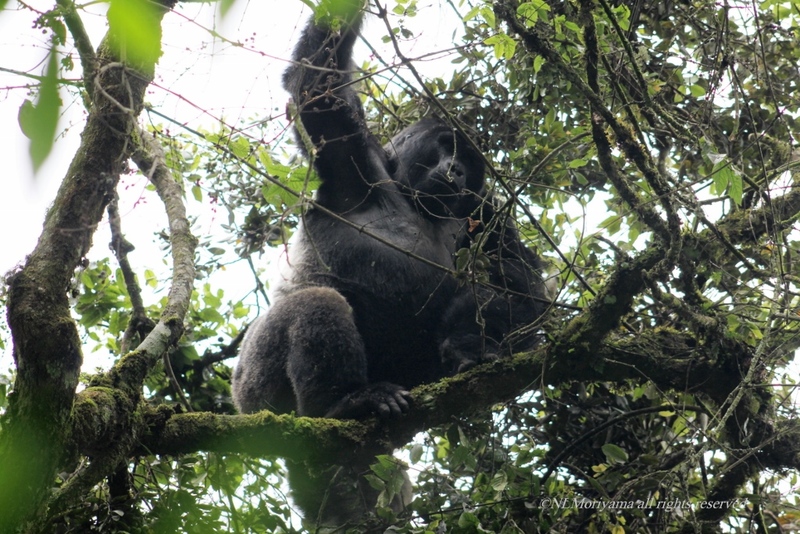 Here is Busingye coming down from the trees. It was amazing that the tree was strong enough to hold his weight. Silverbacks can reach a weight of 160 KG. Busingye walked right in front of us and was so close I could have reached out and touched him. Due to the increasing human population in these remote areas and the need for cultivated land, this reduces the forest area and creates habitat loss for the mountain gorillas. More dangers for the gorillas are the bush meat trade, being hunted for trophies, capture of live infants and body parts are used in medicine and magical charms. 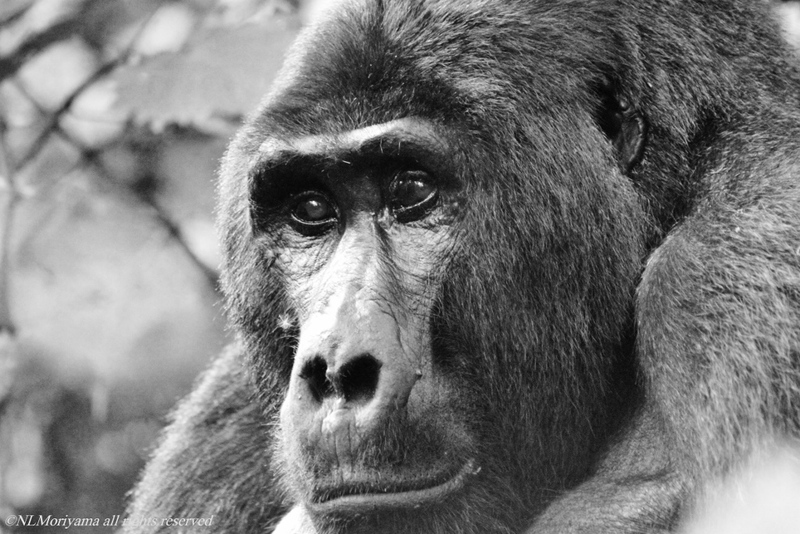 Another threat for the Gorillas is contracting human ailments, such as outbreaks of Ebola. This was an incredible experience and I hope the photos do these majestic animals justice. Naomi, you are amazing ! Thank you Paoulina! I am so glad that you enjoyed the photos. I will post more photos and stories of my Uganda trip on this blog. Thank you Vicki. Your photos inspire me.